Croquet NC is part of the US Croquet Association, the official governing body for the sport of croquet in the United States. Like its parent organization, Croquet NC promotes all forms of croquet, with an emphasis on American Six-Wicket Croquet (6W), Association Croquet (AC), and Golf Croquet (GC). 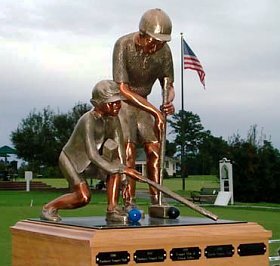 Tournaments run by Croquet NC include the NC State Singles Championship (6W), the NC Open (AC singles), and the NC Club Teams Championship (6W and GC doubles). Croquet NC has also hosted regional and national championships, and international test matches.